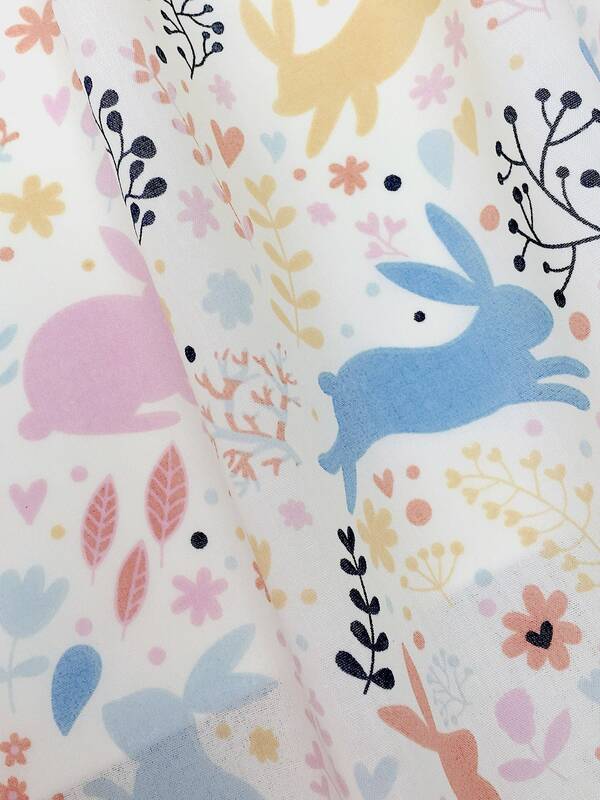 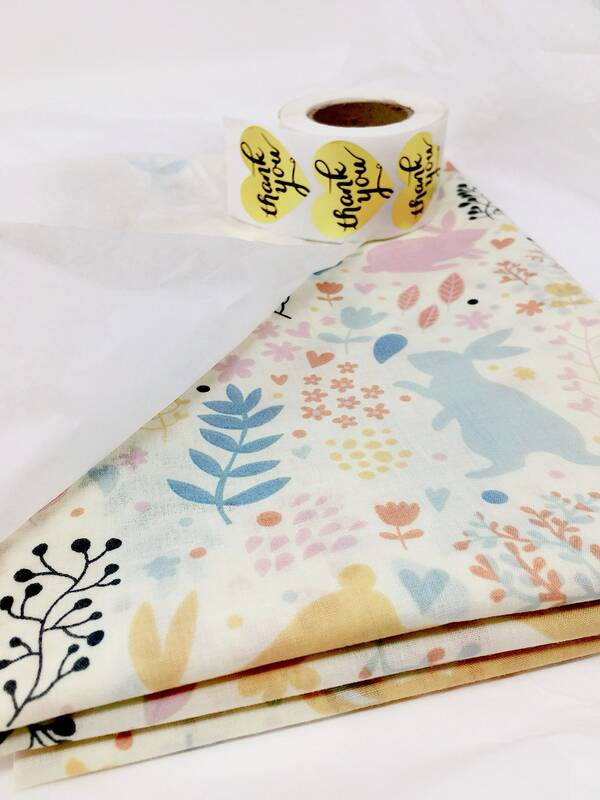 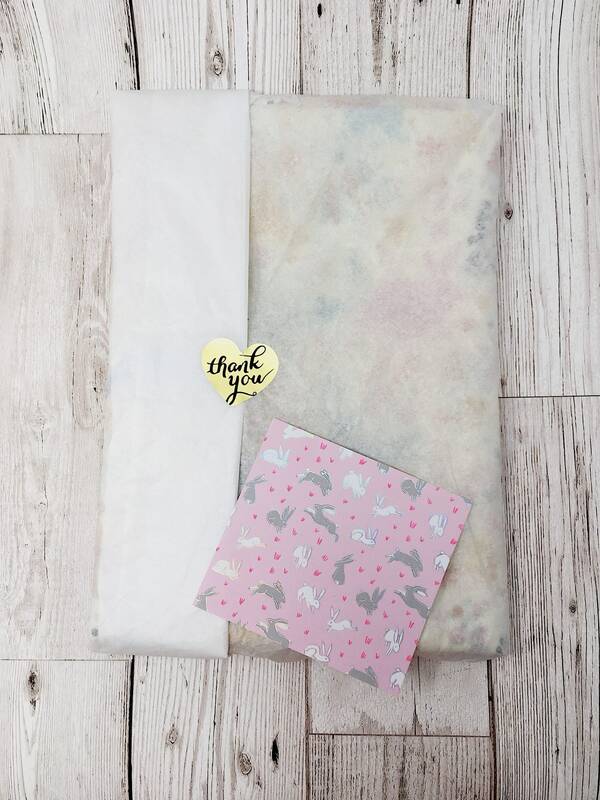 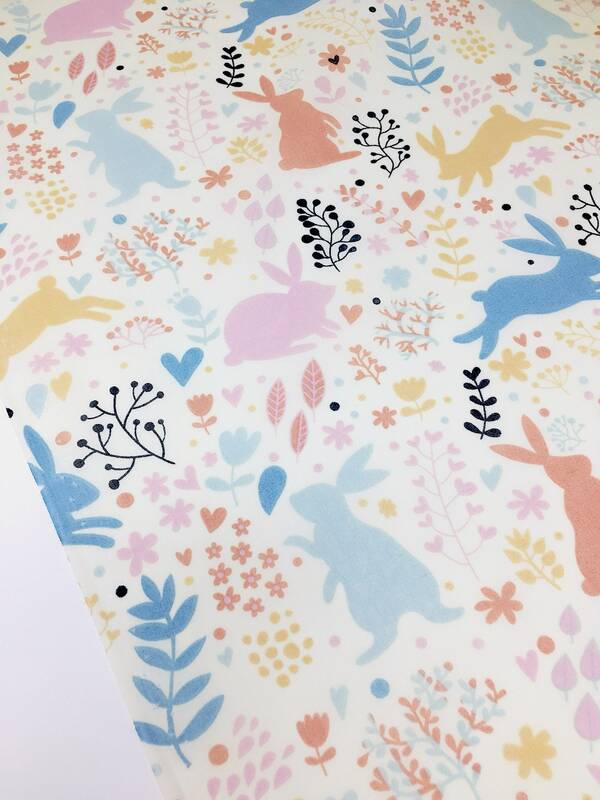 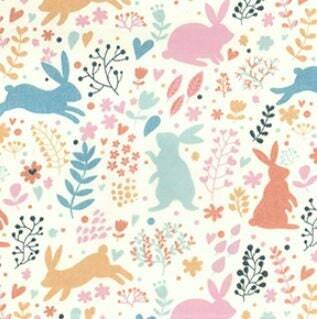 This beautiful printed polycotton Spring fabric features multicoloured bunny rabbits and delicate flowers. 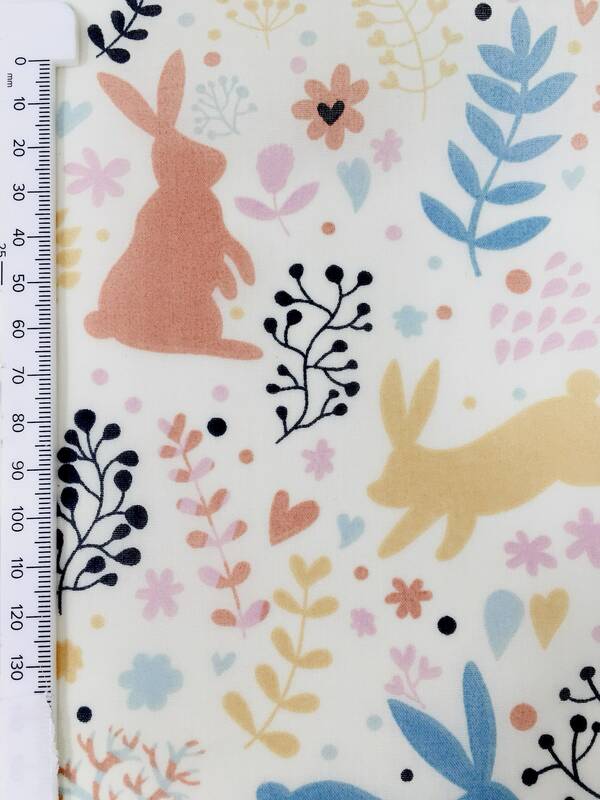 This fabric is 44 inches or 112cm wide and weighs approx 120 gsm. 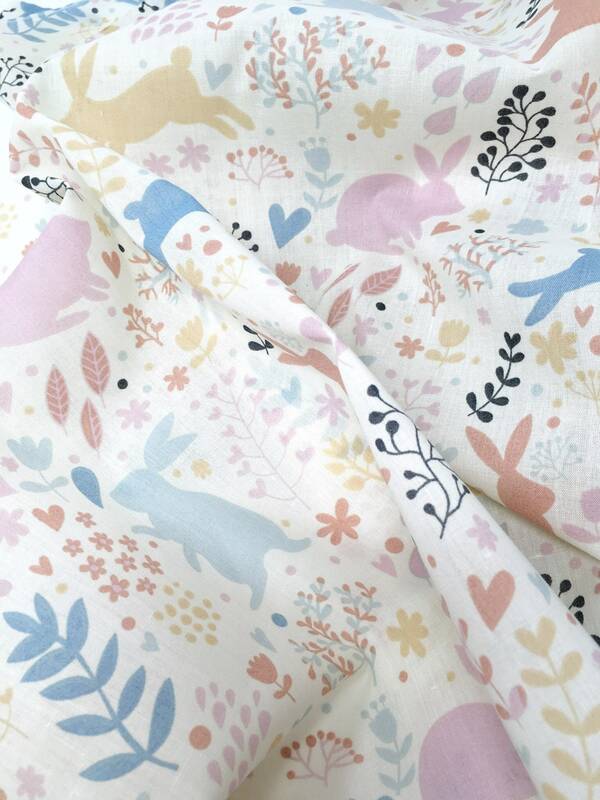 Composition 80% cotton, 20% polyester. 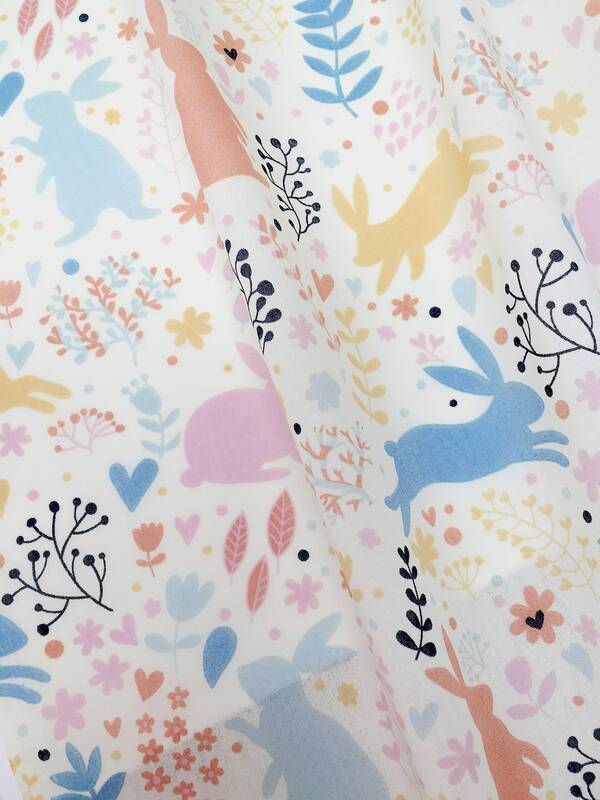 Gentle handwash and hang to dry. 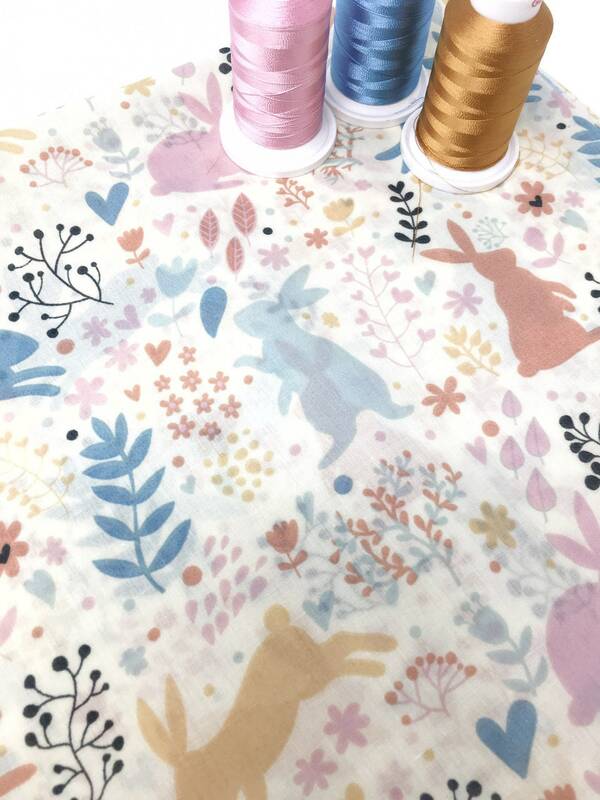 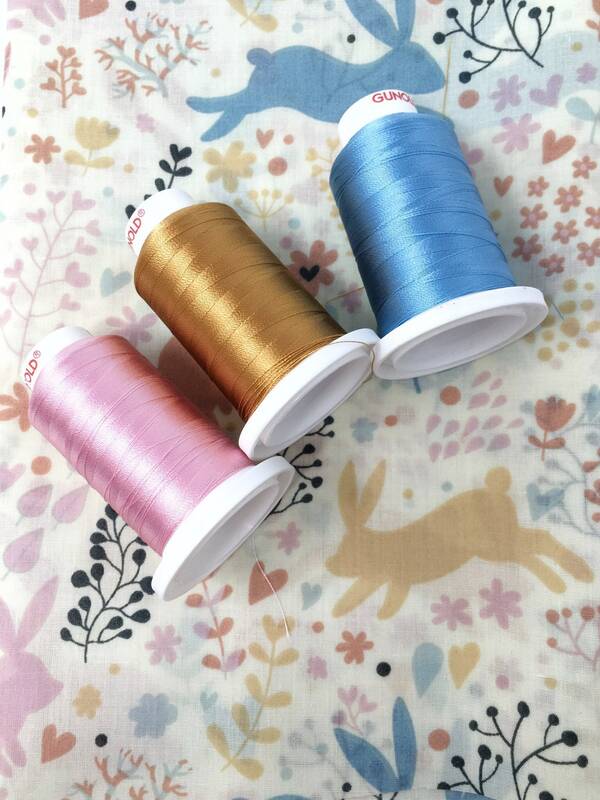 Polycotton is a great fabric for crafts, clothing and children's projects.